Prof. Nandita Malini Barua has a Bachelor’s and Master’s Degree in Economics. She has over five years of research experience in development institution and academic , more than three years of teaching experiences. 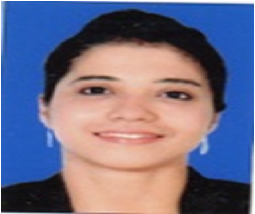 She has worked in the area of Banking and Finance and was awarded Fellow of Banking & Finance by National Institute of Bank Management (NIBM) in 2014. Her Ph.D thesis is on Economics and is well versed in Financial Economics, Monetary Economics, Microeconomics, Macroeconoics and quantitative Techniques.